We have some major news -- earlier this month, we won 5 Pollies, the gold standard for our industry. We are grateful to our incredible clients who have embraced our creative strategies and allowed us the opportunity to make not only campaign-winning, but also nationally-recognized, digital advertising and direct mail. Congratulations to our clients who received these national recognitions – including ballot initiative campaigns, Portland City Commissioner Jo Ann Hardesty and Little Rock Mayor Frank Scott. Thank you. We are humbled to have the opportunity to serve on such amazing teams. It’s a humbling experience to win a top prize in the campaigns and elections business. Winning six seemed overwhelming at this year’s Reed Awards by Campaigns & Elections! We feel so blessed to have the opportunity to help a diverse set of amazing clients across the country. 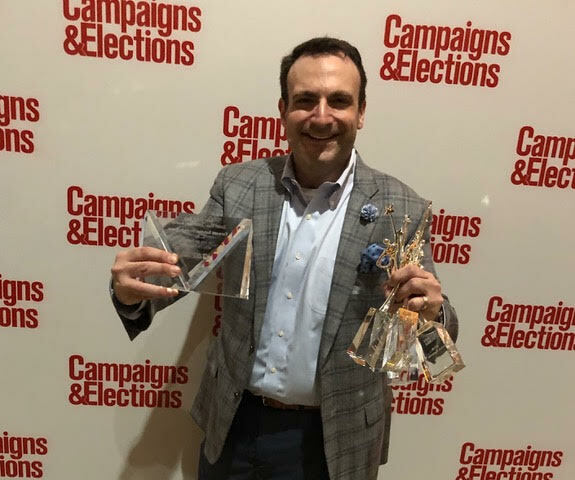 We are humbled to have our work for your campaigns and advocacy projects honored with SIX Top Reed Awards and another 10 finalist recognitions for some of the best work in the country this election cycle – including the prestigious “Best of the Best” award for the single best piece of campaign mail as chosen by USPS. Congratulations to our clients who received these national recognitions – including Billie Sutton, Councilwoman Jo Ann Hardesty, Representative Joe Tate, Mayor Frank Scott, Secretary of State Steve Simon, and so many more. We were honored to be part of history-making, winning candidate campaigns, ballot initiatives, and public affairs campaigns at the statewide, congressional, and local levels.